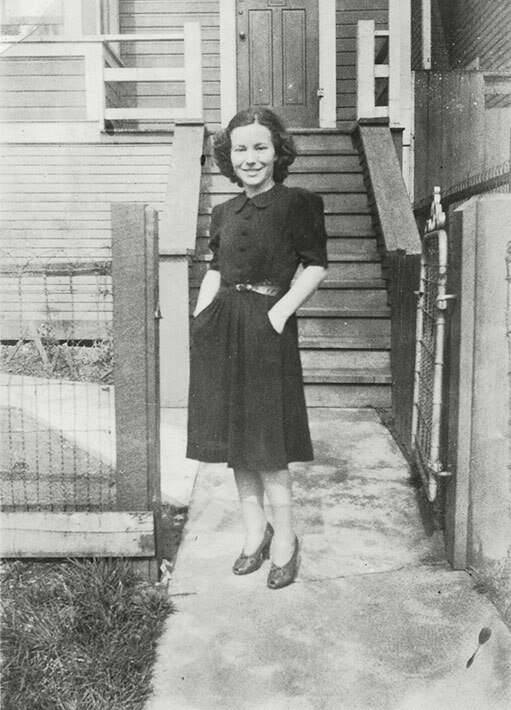 Black and white photograph of Nellie Cavell (née Pitton) standing in front of a house on the 300-block of Union Street in Vancouver, BC, across the street from her house. The photograph was taken during the period in which Nellie was working as a secretary for the Italian Consulate. It is due to her work at the Consulate that Nellie was declared an enemy alien by the Canadian government during World War II. She was required to report monthly to the local authorities.